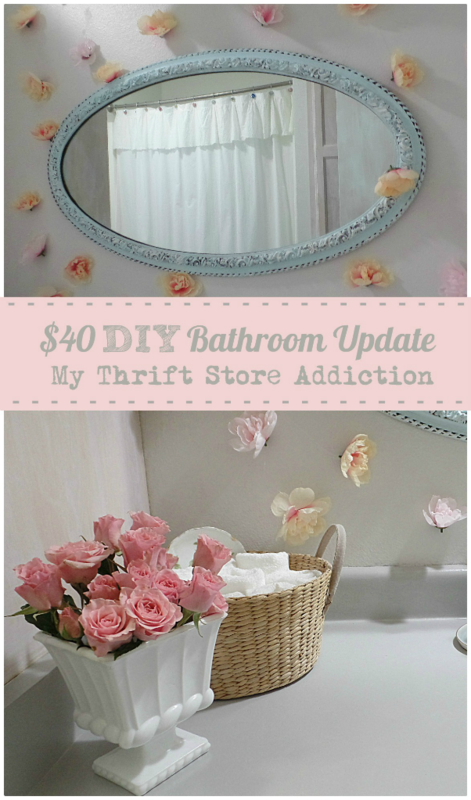 Before I share the rest of the bathroom, here's a recap of my recent updates. 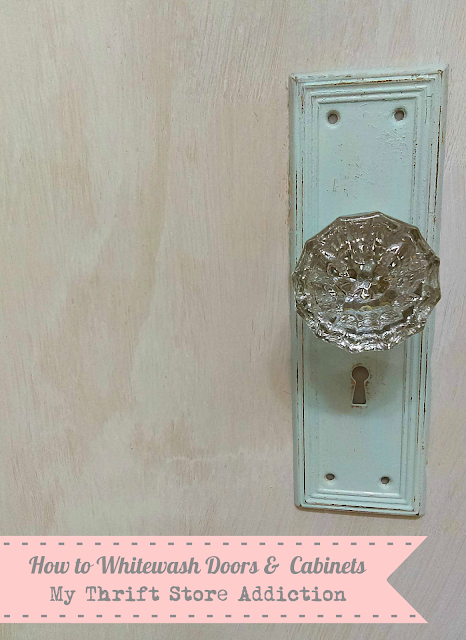 Click on any of the links for the before photos and DIY tutorials! 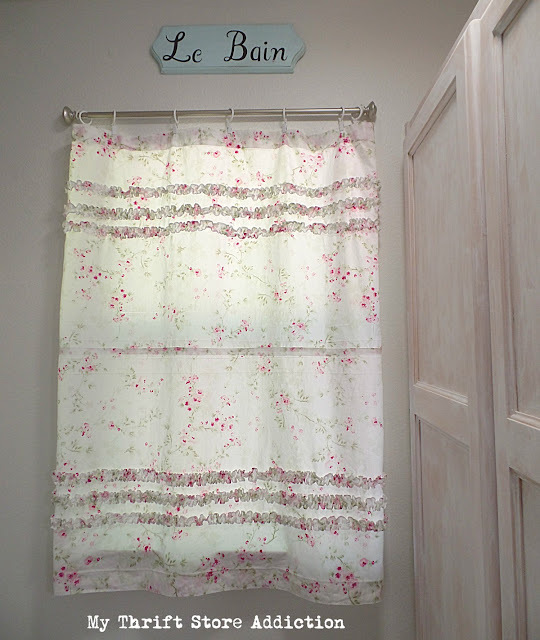 I kept my Shabby Chic shower curtain that was a clearance find from Target. 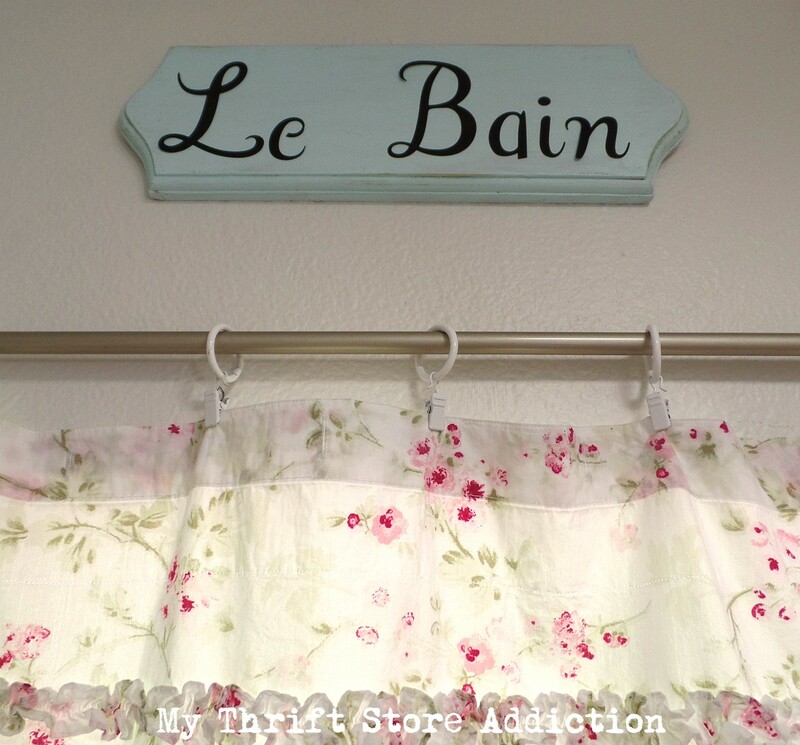 My vintage jewelry shower curtain hooks have held up well after four years, and they're still one of my favorite projects. 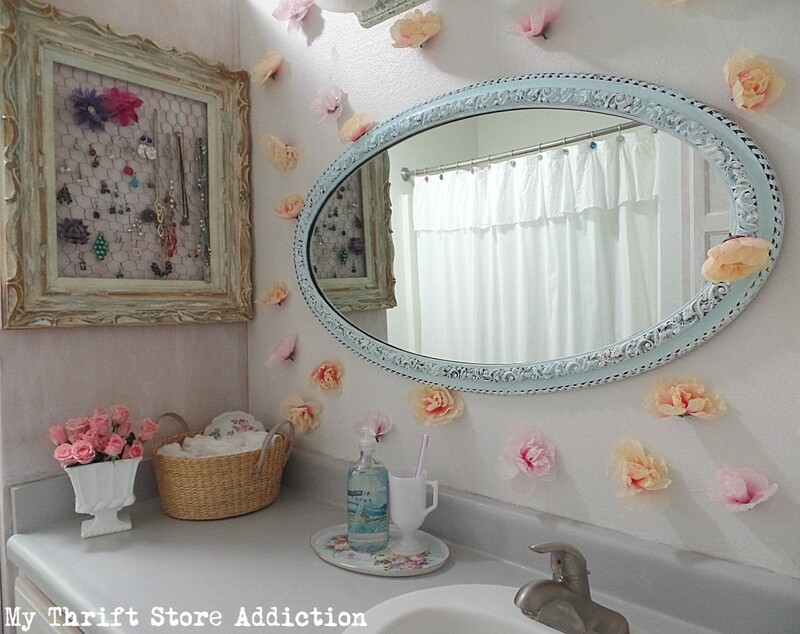 On the wall behind the vanity, I considered stenciling or wallpaper, but in the end decided to add a floral installation similar to the one in my bedroom using my 15 minute peony garland. I also simplified by replacing the previous gallery of mirrors with one large oval vintage mirror. 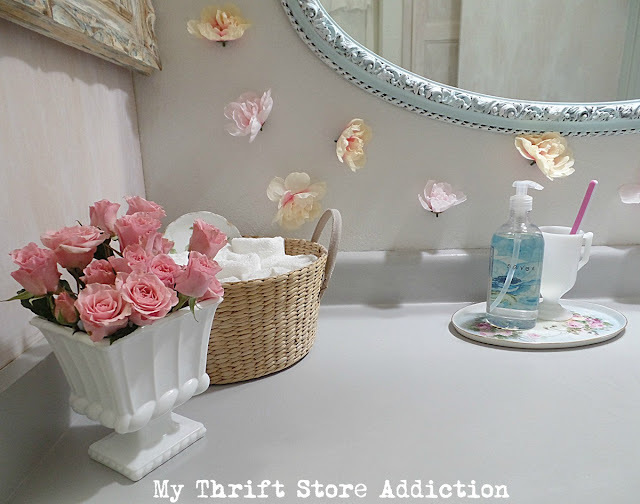 The first time I shared my painted countertops was before I whitewashed the cabinets, changed the mirror, and added the peonies. Here's a peek at how they all look together. 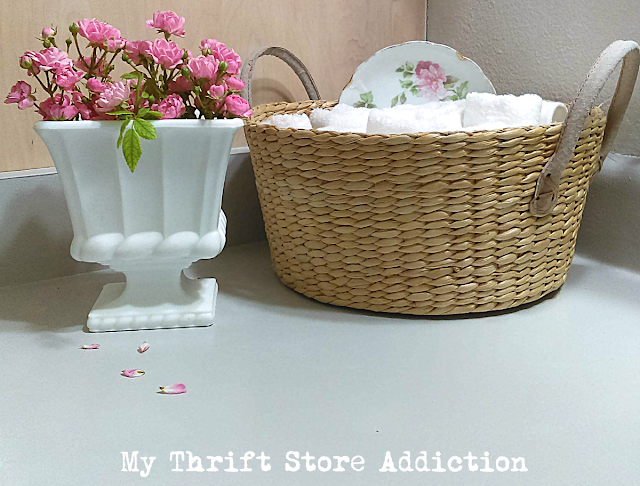 Remember the vintage vanity tray I scored thrifting a few weeks ago? It's perfect! I found this framed jewelry display at one of my favorite craft shows several years ago. Here's a view where you can see the floor and cabinets--still a small space, but much prettier and lighter now! Okay, so want to know my grand total? Of course you do--$40! Keep in mind that I used the same paint and primer on the counters and floors, which saved money. 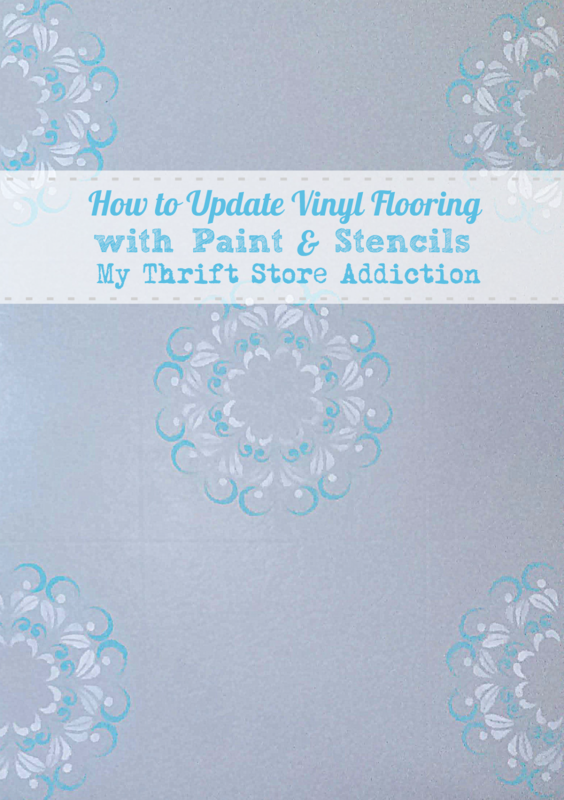 Also, I received the chalk paint I used on the door and cabinets, as well as the floor stencil from DecoArt, as a member of the Blogger Outreach Program. 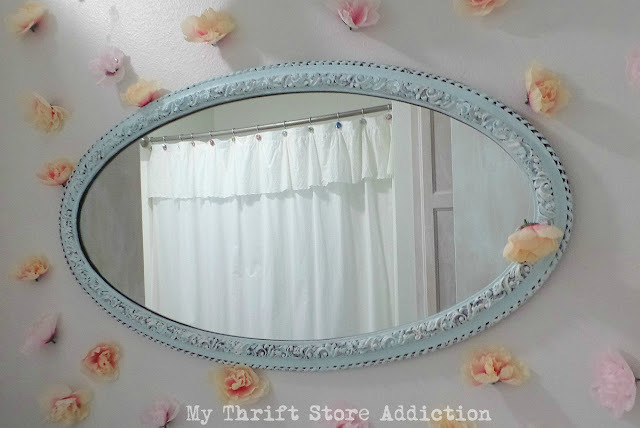 However, I did include the door hardware, faux peonies, and the thrifted items I mentioned in my total. Your bathroom may not need a complete update, but any of the tutorials you choose will be a thrifty alternative to replacing items that are in otherwise good condition. I've also included links for comparable products below, for those of you who prefer to shop online. 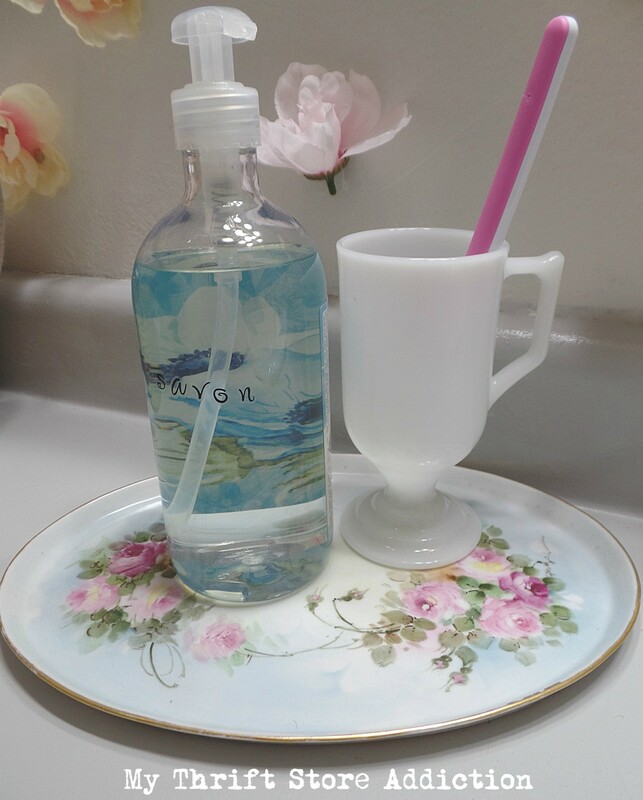 Sweet friend, what a beautiful and charming bathroom. I just love what you did and the floor is amazing! How nice, Cecilia, to get a completely updated look for so little! It looks wonderful and I bet you are so happy with the results. (Hard to believe Hunter Green was so big...I had quite a bit of it myself at one time). Lol. 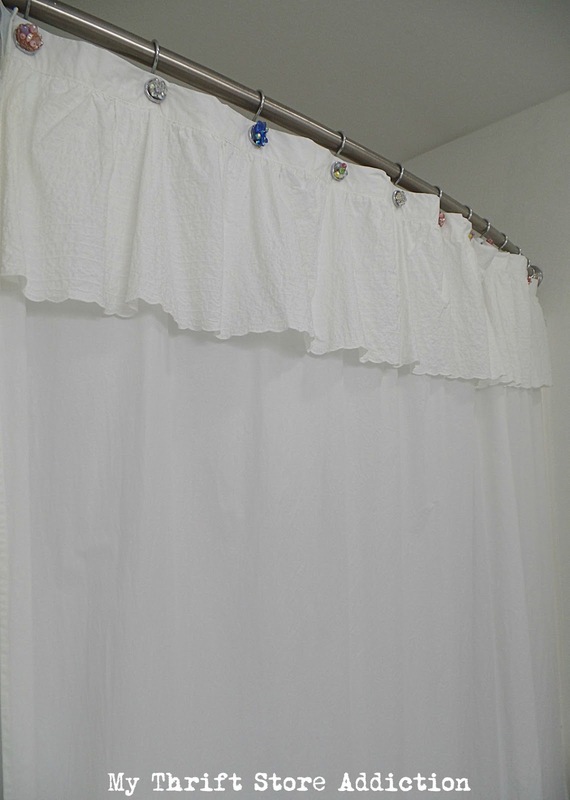 Your bathroom looks so light and airy now! Awesome job while being economical, too! WIN-WIN! The whole room just looks lovely. Too many sweet elements to choose a favorite. Enjoy it!! It looks wonderful! 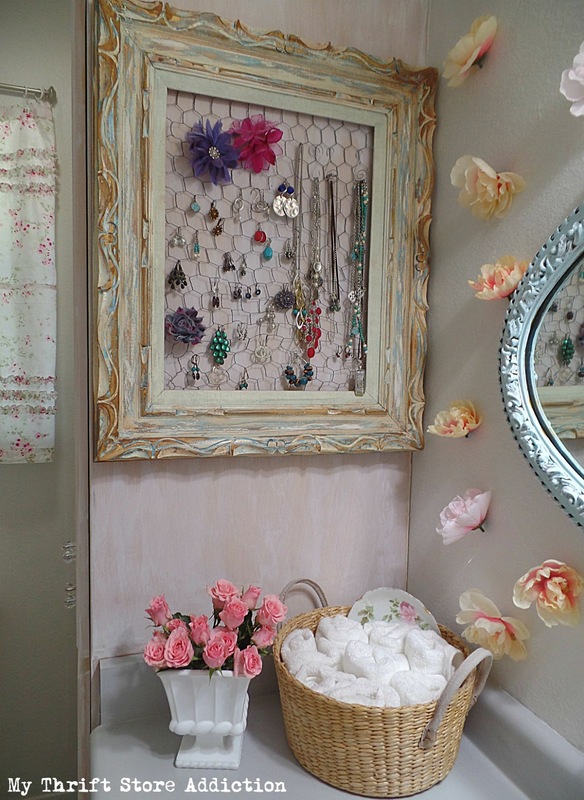 So many adorable additions, but my favorite is the frame for your jewelry. I have a couple of frames I've been trying to decide what to do with and where to put them. Jewelry holder or note board....just can't decide. Thanks for always having great ideas to share. 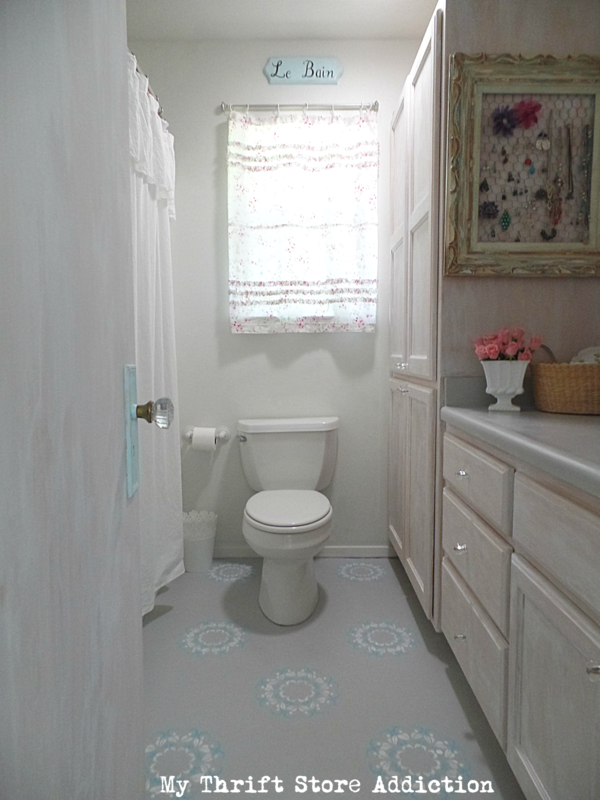 Your bathroom is so charming, Cecilia! I love all of your projects and personal touches...and that you did it on a budget! Lovely!